Pinnacles, koalas and sandboarding 4WD adventure only $169.00 per person per tour. Be sure to get in QUICK! Limited seats available. The following tours can all be booked by us on your behalf, call us on 08 9246 1039 for more information and to book. Alternatively you can complete the enquiry form and we will endeavour to get back to you within 24 hours. After stopping at Caversham Wildlife Park in the Swan Valley to view koalas and hand feed kangaroos, we travel to the lobster fishing town of Cervantes for lunch. We stop at the Lobster Shack for an informative talk about the lobster industry, followed by a self guided tour through the purpose built factory. Then it’s onwards to the mystical Pinnacles Desert for an easy paced walk through the fascinating landscape where you will be in awe at the sheer size and number of these spires. 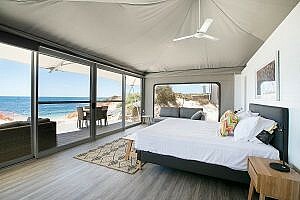 Afterwards enjoy a thrilling experience of sand boarding and 4-wheel driving over the vast sand dunes of Lancelin. Wildflower viewing stops are made in season. Return to Perth at approximately 7.30pm. Travel through the Swan Valley to New Norcia, Australia’s only monastic town which is renowned for its Benedictine Abbey. 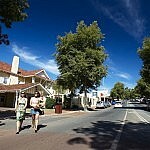 Drive through the town and learn of the intriguing history and culture of the community before stopping for morning tea. Afterwards, visit a produce shop for the chance to purchase Benedictine Community goods including olive oil, fruit, wine, New Norcia nut cake and breads. Alternatively, visit the museum and art gallery. From here we visit the Western Wildflower Farm for a brief talk about how wildflowers are dried and exported. Continue to the lobster fishing town of Cervantes and visit the Pinnacles Desert where you enjoy an easy paced walk through these mystical limestone pillars. Heading east we enjoy morning tea (own expense) at historic York, the first township founded in the Avon Valley. Visit the Dog Cemetery before arriving in Hyden. 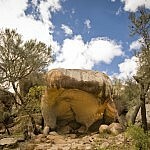 We then visit Hippo’s Yawn, a rock formation which resembles a hippo yawning. Break for a buffet lunch at the Wildflower Shop. 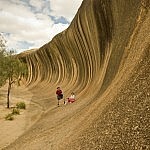 See the spectacle of Wave Rock and the ancient Gnamma Holes. 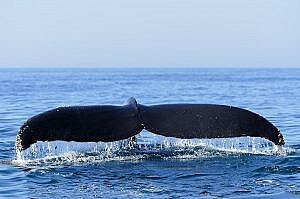 Whilst here visit either a wildlife Park or view the unique Antique Lace Collection. 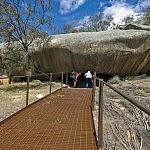 Leaving Wave Rock we visit The Humps and Mulka’s Cave. We return to Perth via a different route and stop at the quaint country town of Babakin for afternoon tea prepared by the Country Women’s Association (own expense). Wildflower viewing stops are made in season. Arrive in Perth at approximately 8.30pm. Travelling south we stop for morning tea (own expense) at the iconic Busselton Jetty, the longest timber jetty in the southern hemisphere. 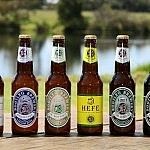 We continue south to the Margaret River Wine Region to enjoy lunch at a Margaret River brewery and indulge in complimentary beer tastings. 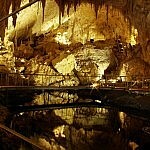 Next we head out to explore Mammoth Cave on a guided tour. 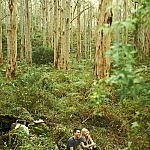 Pass through the stunning Boranup Forest and be awestruck at the size of these massive Karri trees. 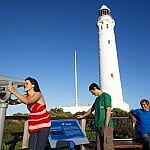 Afterwards, visit Cape Leeuwin Lighthouse the diving point between the Southern and Indian Oceans. 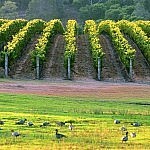 Visit a local winery, taste some of the very best wines of the region whilst gaining some insight in to the industry. Heading back towards Margaret River make a brief stop in the township where you have free time to stroll the main street. We break at a cafe for a light dinner (own expense) before returning home to Perth, arriving back approximately 9.30pm. Travel south through Donnybrook, famous for its apple and stone fruit orchards. Enjoy scenic touring through rolling farmlands of the Blackwood River Valley. Travel through Western Australia’s old growth forest to see the 51m tall Diamond Tree bush fire watch tower. Climb it it you dare, or simply enjoy a picnic lunch in a tranquil bush setting.We then visit the Valley of the Giants ‘Tree Top Walk,’ a 600 metre long elevated walkway through the forest canopy reaching up to 40 metres above ground. On the ground walk through the Ancient Empire of wide girthed Tingle Trees up to 10 metres in diameter.Visit Denmark before returning to Perth at approximately 10.30pm. Stop en route for dinner (own expense) at Kodja Place Visitor Centre. With a botanical guide we travel to various locations on Perth’s outskirts in search of the finest wildflowers. Whilst the slope, soils and ancient granite outcrops of the Darling Escarpment are traditionally the ideal habitat and location to view wildflowers, profusion varies daily and is dependant on sunshine. We visit locations where we expect to find the finest wildflowers for you to see and smell. Our experienced guide will help you identify rare and delicate wildflowers including renowned everlastings, orchids, red and green kangaroo paw, banksias, bottle brush and Western Australia’s most famous orange flowering Christmas trees. There is ample time to identify and photograph flowers and a complimentary wildflower booklet on Western Australia’s unique wildflowers is included. *Note this tour is seasonal and operates September to end November.